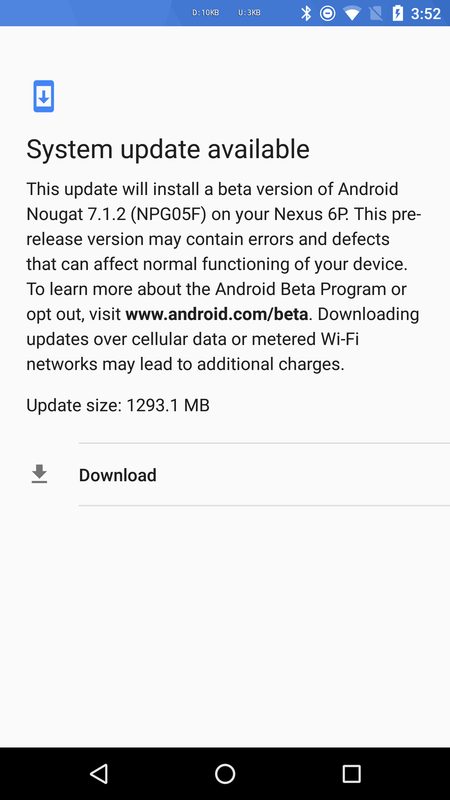 If you're using the Nexus 6P and enrolled in the beta program, you should be checking your phone for a new update. The 7.1.2 Beta is rolling out now, bringing the larger 2015 Nexus in line with the other Google devices. Those of us who felt snubbed last month when our phone was left out should feel better now. The factory image doesn't appear to be live on the site yet, but you can keep checking over the next few days if you're interested in going that route. Just be sure to enroll your device in the beta program here and then you should receive the update notification soon after. The update file itself is pretty large, sitting at a hearty 1.29GB. Mine showed up today when I hit the check updates button and I never get that lucky. 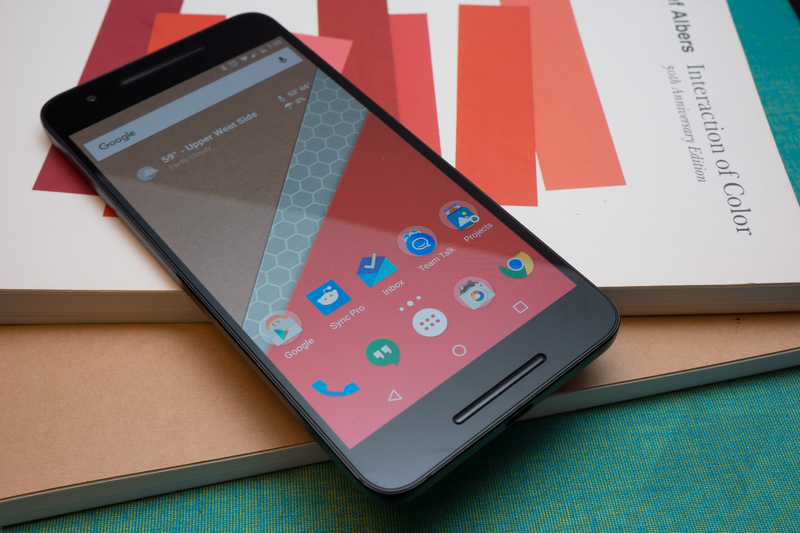 Many people have noticed that this update does not, in fact, bring the fingerprint gestures support that we saw on the Nexus 5X when it got 7.1.2. I have not seen any explanation or reason as of this writing, but I am not too torn up about it frankly. Those of you who were looking forward to being able to pull your notification shade down via your fingerprint sensor, I am sorry to disappoint you. At least you have a third-party option.